I got 40/50. 43 is the pass mark. I better brush up! Search driving test success on the app store. Should be £4.99. You can do mock tests of the multiple choice, highway code and practice hazard perception on it. Nope, I haven't. Has anyone else? Makes me wonder whether it's a ploy to get people's details. Has anyone heard back about this yet? 2 hours of free qualified driver lesson for motorway driving with an AA Driving Instructor. 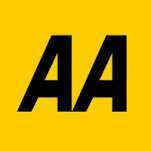 Funded by the AA charitable trust for improving motorway driving. £19 instead of up to £120 for 4 hours of beginner driving lessons. Valid in multiple locations in UK. I think this May be a scam, I bought it for my daughter she put automatic instead of manual. I have tried contacting them by phone and there offices are always closed. The voucher code won't go in to send them an email. It's so annoying. No offence dude but don't make comments like that until you've done the job for a while and experienced the thrill of a pupil accidently applying the hand brake at 60mph whilst attempting to get 5th gear, or maybe hiting the footbrake instead of the clutch at similar speeds when the muppet behind thinks an L plate means you can tail gate them to make them go faster. Free driving standard agency(DSA) mock theory tests. Bought a voucher for cheap driving lessons and did not read the previous review. This is the worst company that I have ever dealt with. As stated below you can't get in touch with mike Simpson and his staff are poor at communicating also. Finally got an instructor after 4 weeks of trying and we arranged to meet for my first lesson. And guess what..... No instructor showed up! Do not use and stay well clear of an offer that is too good to be true! Getting a refund was even harder and I still don't have it! Uuh guys, this wowcher driving lesson thing is a con. Talking from experience. As some one who just passed my practical driving test last week, I can say the LDC videos on youtube are GOLD. Very informative and give you some excellent tips. Theory test is pretty easy, passed first time. Practical test is kind of luck. Manage to pass on the third try. First time I had an impatient driver behind me, he tried to overtake me on a roundabout causing him to harshly brake as I indicated to exit the roundabout. Second time I made a silly mistake. Third time I clipped a kerb, thought I failed and then he said i PASSED! I literally could not believe it. Good luck to all you potential new drivers and drive safe. This is a great disc for learning your theory, but before taking up the free lesson, check out if other local instructors have better deals available. LDC themselves offer new pupils 5 hours for £60 (https://www.learnerdriving.com/offers/5for60) but if you take this free lesson (which is only 1 hour) you will not be eligible for the 5 for £60, meaning 5 hours could then cost you about £80-£100 depending on your instructors regular hourly rate. Found this deal while looking for something. I thought it is quite good deal less than £6/hr. My husband is a successful grade 5 driving instructor who gets lots of referrals from pupils and has a good pass rate.He also charges a fair price for lessons and does deals like this now and again.He has been instructing for twenty five years.He always gives a quality first beginner lesson even on a deal with the learner ACTUALLY DRIVING, [if they are not too nervous] with gear and clutch control,how to steer etc and people love it.He always hopes that people who buy these deals are not just trying to get cheap lessons and will carry on with him and have more lessons[not at inflated prices].All the money he gets on these cheap lessons just pays for the petrol only.Unfortunately only some stay with us .We are always pleased when this happens as lots are fickle and just go from instructor to instructor never learning much in the long run as not all instructors give a quality lesson.It is a skill for life after all.Out of a deal where 70 people came with us,about 20 stayed for more lessons.So there you are.Judge for yourselves. This might be what's known as a loss leader. I found my instructor through a groupon offer &amp; he is fab! Now in my 70's and having driven for 50 plus years I thought I would see if I needed any revision. 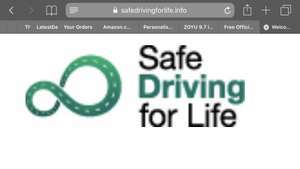 I took up the two separate hours offer and would recommend this to all.Not only was I reassured that my basic driving skills had kept up, I was encouraged and informed on how I could improve. This was mainly on observation skills, use of mirrors and maintaining the right speed for the road conditions, something I had neglected over time. 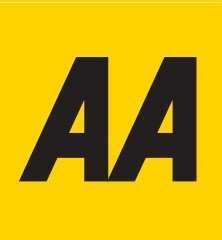 This is an excellent AA initiative and should be encouraged. Cheers OP! That's the wife's birthday present sorted! 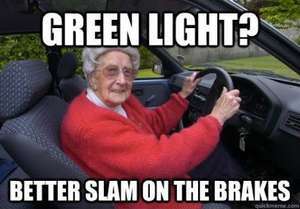 Never miss a 'Driving Lessons' deal again! I've bought the voucher last night, after checking their website - it says they have instructors in my area. Called DSBS today to book the lessons and they say the website have not been updated in 5 years and they no longer have instructors here. Bit rubbish - call them first and check before buying. sorry I mean two months ago. No, I'm not a salesman. I saw the offer and thought it was good as I am paying for my sons driving lessons at the moment and they are expensive compared to this deal. You get what you pay for with driving lessons. Most agencies that offer huge discounts do so because their instructors are poor quality. Lessons may be cheaper, but it takes you so much longer to learn that the savings are negligible. These agencies tend to use driving instructors in training, who are looking to gain experience before becoming fully qualified. Look for the badge in the window, triangle means in training, hexagon means fully qualified. There are also qualification levels instructors pass through, which they should inform you of if you ask. Most instructors in these agencies, even fully qualified, have not attained further qualification levels. As they usually use pooled resources, cars etc, and the agencies advertise heavily on their behalf, there is less incentive for them to stand out as quality than for independent instructors, who rely on good reviews and word of mouth. I learned not so long ago,and you could spot these type of instructors easily. They spent most of the lesson sat parked up, explaining unnecessary details rather than driving. Cheap deal, and you might be lucky enough to get a good one, but I'd avoid. WOW I remember paying £10 a lesson. Can't believe that it's ~£30 now... then again.. Apparently "London" is not an area they cover either... I call shenanigans. I booked for this and just got a confirmation,But didnt know when will i get the class and other details so I called the people, they told me ,Its only Groupola people will send an email and not Bumper Driver, but still after 3 days I have not received any info about this from Groupola, money is already taken ... anyone in same situation ? yeah i am not 100% sure what is the name of the driving school, does anyone know ?? The website states: "The FREE one-hour lesson will be with a fully qualified Approved Driving Instructor in a manual gearbox car. If you want to drive a car with an automatic gearbox, please state this in the EXTRA INFO box at the foot of the application form and we'll do our best to accommodate you." Incidentally if, like me, you must use an automatic due to disability, the company is obliged to make reasonable adjustment to provide you with an automatic. I'm looking for some driving lessons and have been looking around for good local instructors, I'm not really impressed at one free lesson from an un-named driving school and 'maybe' a discount? Their insistence that you have not had any professional instruction seems they are looking for driving virgins to milk for a lot more lessons. Their reasoning is feeble too - we won't give you a free lesson for an hour if you are already under instruction in case you go back to an unfamiliar car. Having said that, I signed up for one free lesson and wil vote hot if they deliver! So thanks for posting!